A transmitter uses a 3 volt lithium battery which will normally last for several years. When replacement is necessary, use the following procedure. For transmitter replacement, see an authorized Kia dealer to reprogram the transmitter. 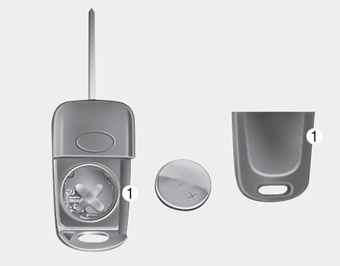 The keyless entry system transmitter is designed to give you years of trouble- free use, however it can malfunction if exposed to moisture or static electricity. If you are unsure how to use your transmitter or replace the battery, contact an authorized Kia dealer.